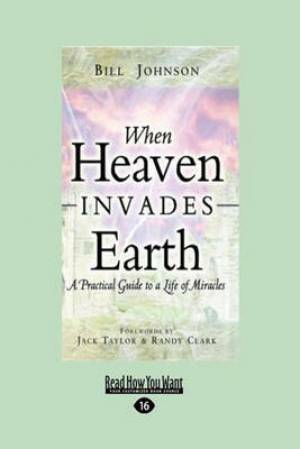 When Heaven Invades Earth by Bill Johnson was published by ReadHowYouWant.com Ltd in March 2010 and is our 48042nd best seller. The ISBN for When Heaven Invades Earth is 9781458750723. Be the first to review When Heaven Invades Earth! Got a question? No problem! Just click here to ask us about When Heaven Invades Earth.